Fucoidan is a naturally-occurring sulfated polysaccharide that is renowned for its health benefits. The brown algae that it is primarily found in has been used in Japanese cuisine for hundreds of years, and many believe that the consumption of it has resulted in a low instance of disease and other health problems in the southern region of Japan. Fucoidan is 100% natural, and therefore does not have the side effects typical of chemically synthesized drugs. It can also be taken together with anti-cancer drugs and other medications. The following Fucoidan side effects should help you to become better acquainted with our product and its amazing health benefits. 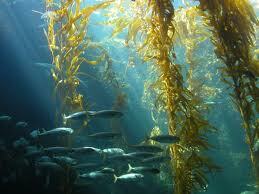 Although rare, some people can have very severe allergic reactions to brown algae extract. Generally, people who are allergic to plants such as soy may also be allergic to Fucoidan. Common symptoms of an allergic reaction include: swelling of the face, throat, and neck, difficulty breathing, increased heart rate, rash or hives. Consult your doctor if you have allergies and are concerned that you could be allergic to brown seaweed. Since Fucoidan has blood-thinning properties, it can make it difficult for blood if someone has an open wound. Some people have also reported bruising more easily while taking a fucoidan supplement. Some people also experience dizziness and/or fainting if their blood is already thinned out. Because of fucoidan’s anticoagulant properties, other chemical anticoagulants like Coumadin, heparin, Warfarin, and Plavix should not be taken at the same time as a fucoidan supplement. At the proper dosage, fucoidan has been known to replace the need for drugs like heparin, though consultation with a doctor should always be taken before making such an adjustment. In lieu of all of its beneficial properties, there appears to be only one downside to taking a Fucoidan extract. Brown seaweed is naturally very high in iodine, and while fucoidan extract has much less iodine than the seaweed itself, it is still a significant amount of iodine. Most people are entirely unaffected by this amount of iodine, and in fact benefit from such a dosage due to its stimulation of the thyroid, but some people are susceptible to side effects from iodine overdose. If you have hyperthyroidism (overactive thyroid) you should not take Fucoidan Force™ or any other fucoidan extract. On the other hand, people with hypothyroidism (underactive thyroid) can benefit from the iodine content, and will in fact improve their overall thyroid function by taking Fucoidan Force™. The reishi mushroom (Ganoderma lucidum) is the secondary ingredient in Fucoidan Force™. Studies show that this unique mushroom has the power to amplify the effects of fucoidan, provide extra immune system and antioxidant support, while also providing additional defense against different forms of cancer. Research shows that lung cancer, inflammatory breast cancer and inflammation-related conditions such as colitis and Crohn’s disease can be managed better with the help of reishi. When taking any reishi supplement, the body goes through a short period of detoxification that lasts generally 2-7 days. The majority of people will not even be aware of this phase, but there have been cases of individuals with sensitive systems experiencing symptoms of detoxification. These symptoms can include upset stomach, mild rashes, dizziness, and headaches; the person should continue taking Fucoidan Force™ thoughout their detoxification symptoms, which should never last more than a week. After the initial 2-7 days of detoxification, the mushroom will not cause any other symptoms. Vitamin C and rest can decrease detoxification symptoms and hasten the detoxification phase. If you have a mushroom allergy, you should consult your doctor before taking Fucoidan Force™, and carefully manage your first few dosages to see if you have a reaction. Fucoidan Force™ can replace many current non-natural medications. Many people take medications for joint discomfort caused by inflammation and arthritis. Prescribed anti-arthritis medications often increase the risk of heart attack, stroke, intestinal bleeding, and can cause intense drowsiness. Fucoidan Force™ can both repair cartilage damage (a common cause of joint pain) and reduce symptoms of arthritis by inhibiting the body’s inflammatory response. By using this medication for help with diabetes and lowering blood sugar levels, you can avoid complications from other prescription medications such as Amaryl. Amaryl can give you various complications such as nausea, dizziness, blurred vision, trouble breathing, discoloration of the skin, headaches, stomach cramps, and much more. These are all serious conditions caused by a medication which is supposed to help the patient. Why take this potentially risky medicine when you can take Fucoidan Force™ worry-free? Besides its disease-related health benefits, our product can also be used as an effective aid in weight loss. Fucoidan found within brown seaweed has been used in diets to help burn away fat and cholesterol, often to greater affect than just physical activity. Studies of patients who used this supplement revealed that they lost more weight and burned more calories than with just exercise alone. It can help with weight loss by removing excess cholesterol found in fatty and processed foods, which are also responsible for clotting up veins and arteries. Since it works to stabilize the body’s blood sugars, it turns food into usable energy instead of stored fat. Perhaps most significantly, Fucoidan is a powerful source of antioxidants, which are known to help lower the risks of heart disease and – significantly – cancer. According to the Memorial Sloan-Kettering Cancer Center, Fucoidan is capable of combating cancer by inhibiting the creation and growth of cancer cells and boosting the human immune system. If you are someone who wants to lead a healthy lifestyle without the negative side effects caused by other medications and drugs, then Fucoidan Force™ is definitely for you! When used according to proper dosage, this natural extract can provide almost anyone with health benefits that far outweigh comparative prescription medications.